The G4 continues to boast Radion’s sleek styling and small footprint but now also features greatly reduced operational noise. To achieve this the G4 incorporates a completely redesigned heatsink with new geometry and micro-fins. More colors means more channels. The G4, like its predecessors, will be instantly recognized by EcoSmart Live and can be added to an existing or new ESL account either through USB or with the Reeflink. *Channel control is updated to match the new clusters and includes Violet and Warm White. Generation 4 includes the most sophisticated lens design available. 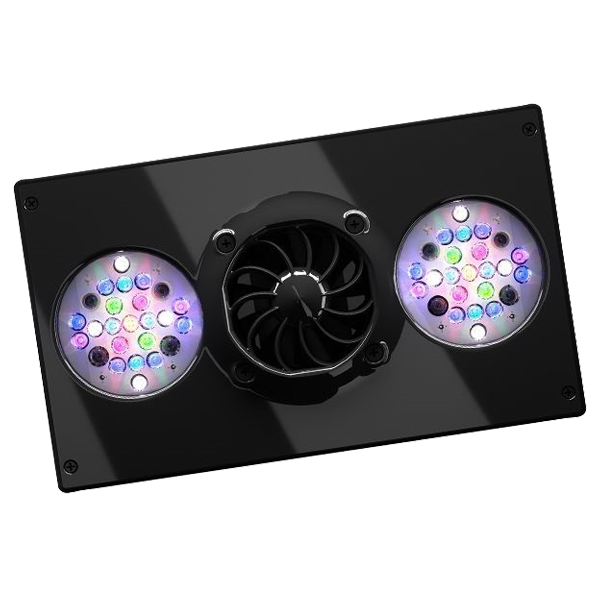 HEI lenses deliver the light uniformity and color mixing of a halide T5 combo without sacrificing the power and efficiency of the LEDs.